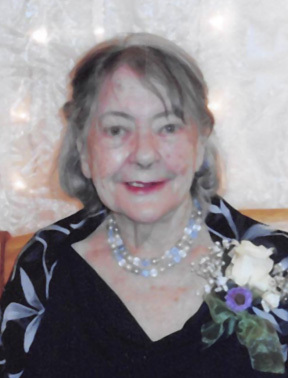 Lorraine Selland, 97, of Ashby, MN, died on Saturday, January 19, 2019, at the Ashby Living Center in Ashby. Lorraine Evangeline Lundeen was born on August 26, 1921, in Eagle Lake Township, the daughter of Victor Leonard and Evelyn M. (Thompson) Lundeen. Lorraine’s mother Evelyn passed in 1926, and she was raised by her aunt and uncle, Alveda and John Peterson along with her brother, Donald. She attended Country School District #6 before attending Business School in the Twin Cities. On July 17, 1948, she married Norm Selland at Grue Lutheran Church in Ashby. Lorraine moved to New York City where she lived a number of her years working Import and Export Data Entry. After retirement she moved to Minneapolis, Fergus Falls and the Ashby Living Center where she currently resided. Her hobbies included downhill and cross-country skiing, boating, puzzles, reading and embroidery. She enjoyed playing the piano, watching the Minnesota Twins and dancing with Merlin her best friend. She was preceded in death by her parents, Victor and Evelyn Lundeen; brothers, Donald and Warren Lundeen; a sister, Geneva and best pal Merlin Thompson. Lorraine is survived by her nieces, Teresa Lundeen of Washington, Janet Lundeen of Montana and her daughter, Krystal Murphy, Evelyn (George) Schamber of rural, Battle Lake and Mary Kay Lundeen of Fargo, ND and her son Victor Lundeen, and great-great nephew, Liam. Funeral Services: 11:00 AM, Friday, January 25, Glende-Nilson Funeral Chapel, Ashby with visitation one hour prior to the service.